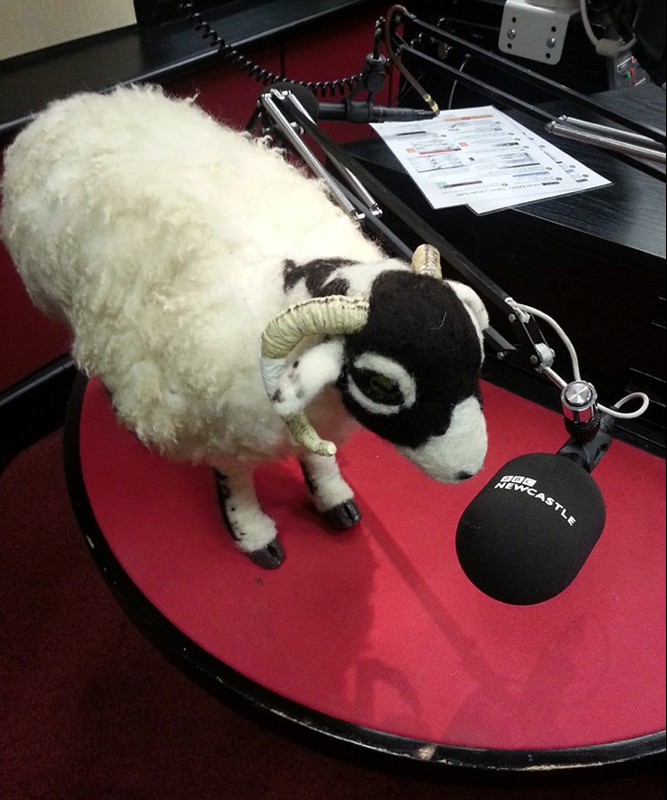 Our tiny team was recently nominated for a Royal Television Society award for the 85 min cut of Addicted to Sheep. 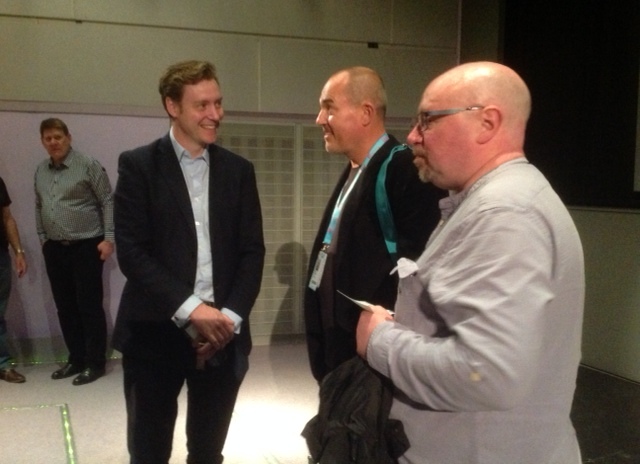 Jan, Magali and Matt had the pleasure of joining over 400 industry professionals at the Gateshead Hilton where we enjoyed a clip of Jack talking about tupping and hearing the audience laughing! 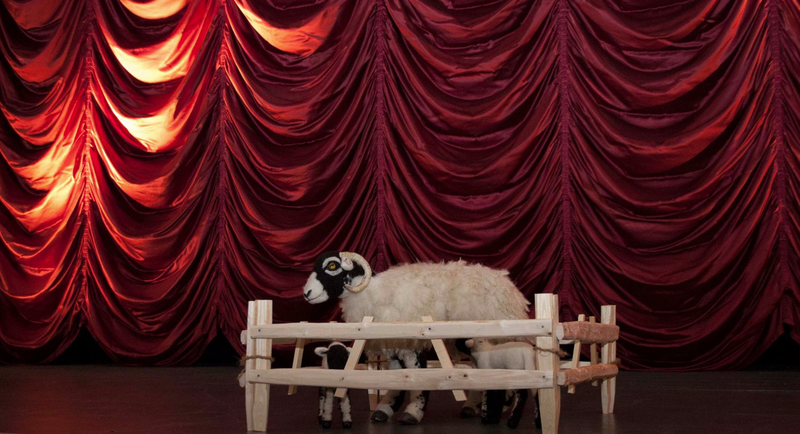 Much to our delight, Addicted to Sheep was then presented with an RTS North East & The Border Award for 2015. It’s a great achievement and reward for everyone involved in making the film, including the Hutchinson family who allowed us to see their life on screen. 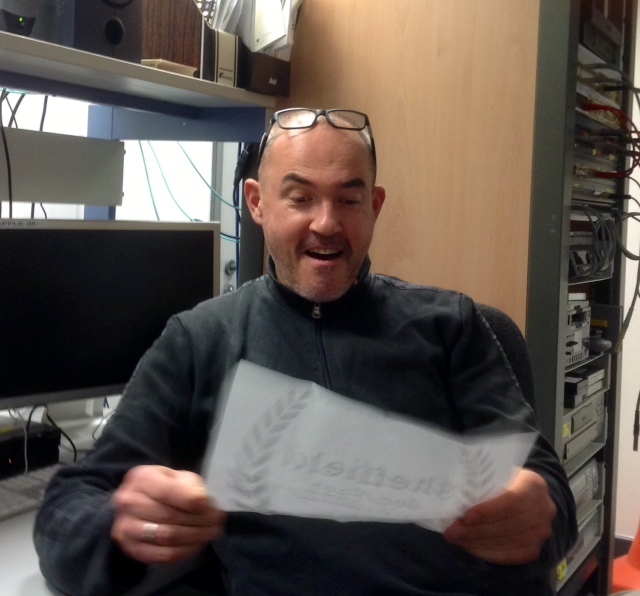 It’s always great to be recognised for your work, especially when judged by industry peers so thanks again to the RTS. To find out more about the award finalists visit the RTS North East & Border website. To catch up on the extensive critical reviews we’ve had for the 85 Min cut, wander over to the Addicted to Sheep film reviews website for the back catalogue. We’re proud to announce that the TV version of Addicted to Sheep will be broadcast for the first time on BBC4 at 9pm on the 8th of February 2016. Although there is nothing quite like watching a feature film on a big screen in the dark with a responsive audience, as film makers we also feel it’s important to share the story with as many viewers as possible. 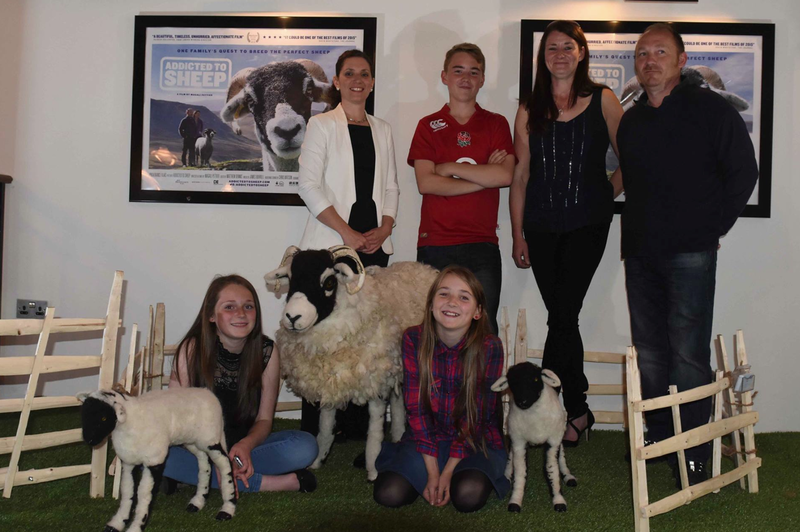 Over the last few months the Addicted to Sheep team have been working with the BBC to make a 60 min TV version of the 85 min feature film which has received generous praise from audiences far and wide as it tours UK cinemas and community venues. We’ve all worked hard to ensure the 60 min BBC TV cut still retains the essential elements of the original and hope the BBC4 screening will allow even more people to experience the day to day realities of life on a hill farm. 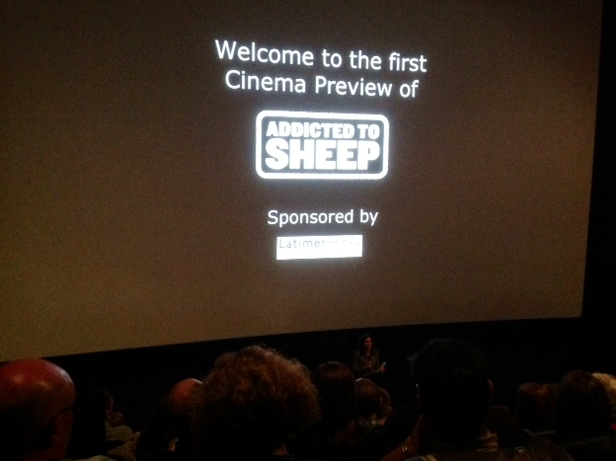 Addicted to Sheep 2015 UK Cinema Tour Hit! 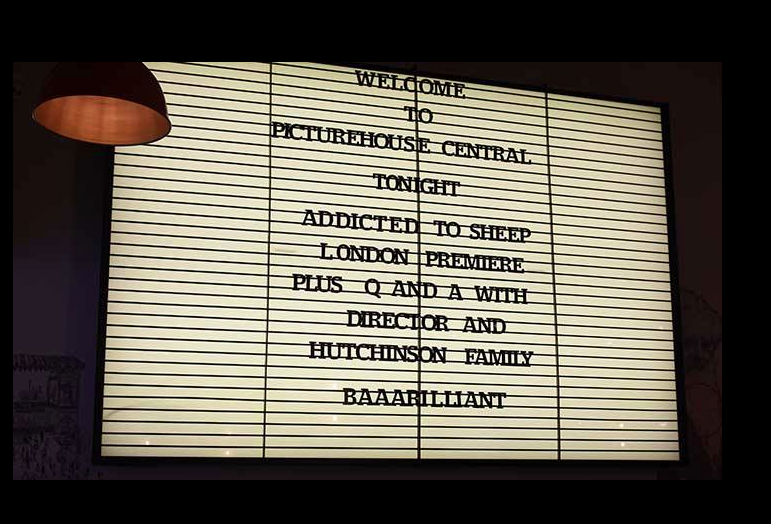 We’re delighted that Addicted to Sheep, a labour of love for our team, has been a massive hit since its London Premiere on Friday 28th August at Picturehouse Central on Shaftesbury Avenue! It’s rare for independent films to get a theatrical release, even rarer for a documentary! We are proud to have presented our film with prestigious partners who really care about indie films including Picturehouse Cinemas, Tyneside Cinema, Bertha DocHouse and many others. 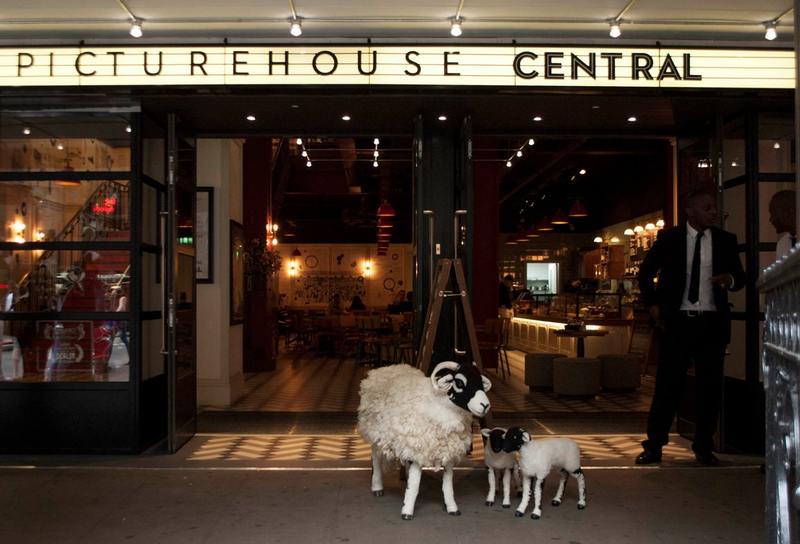 Addicted to Sheep has been seen far and wide in UK cinemas with over 50 screenings in the first wave commencing with a two week run in London’s West End. Many cinema screens have sold out in regional hot spots and lots of people passionate about indie film and sheep have also ensured our community venues DIY booking service allows us to reach places other films can’t! Our ambition to crossover audiences, gain public and critical success seems to have come together. All and more than we ever wanted. 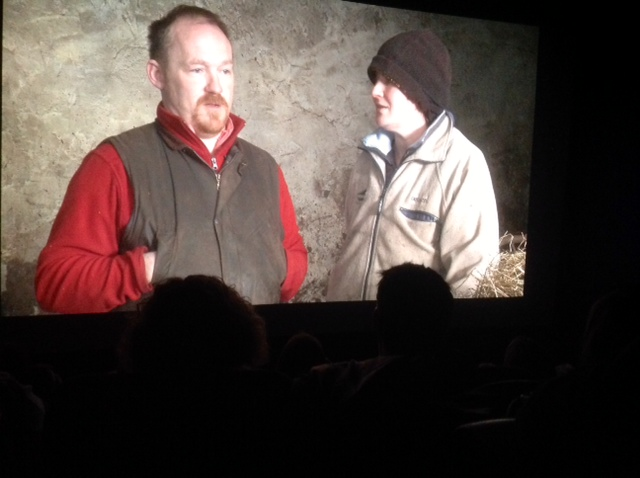 Thanks to the Hutchinson family, your support and that of all those involved in the making of Addicted to Sheep, it feels like a real achievement to now be able to share the film with a wide audience to show a world difficult to witness up close, especially given the current headlines about the issues farmers are facing. If you can’t see a screening near you, community and educational screenings are available. 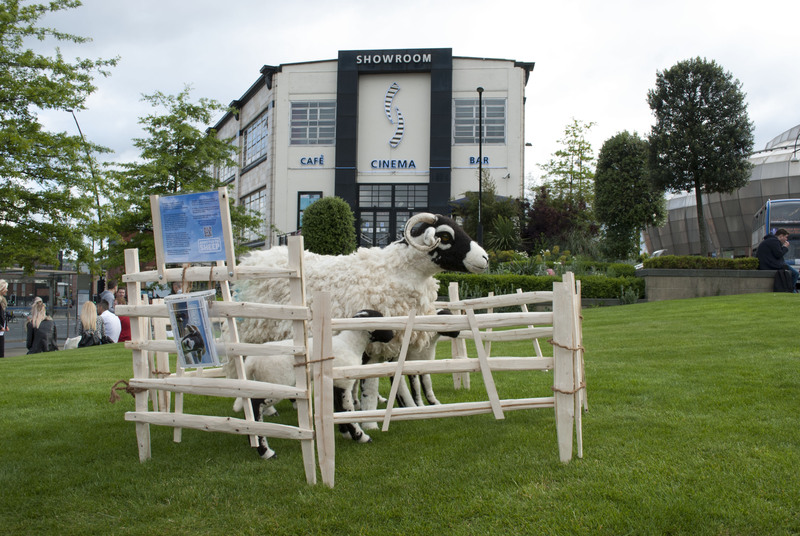 Please visit our Addicted to Sheep community screenings for more info and perhaps you can organise and book one yourself! 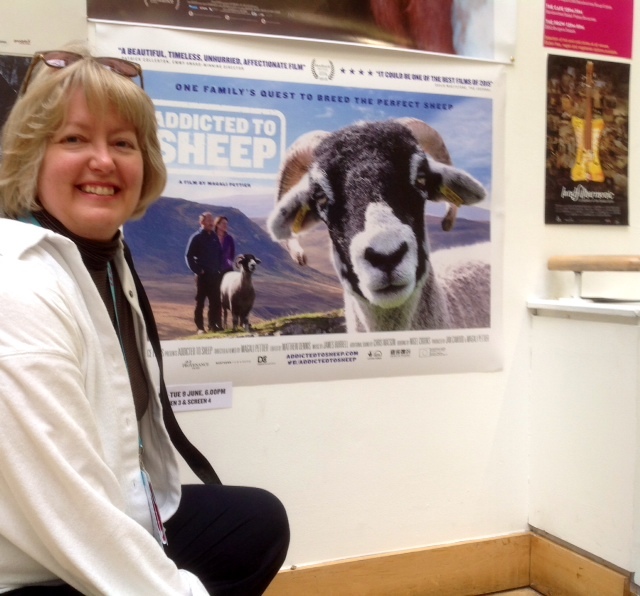 Thanks for all your good luck wishes for the World Premiere of Addicted to Sheep at ‪Sheffield Doc/Fest 2015. 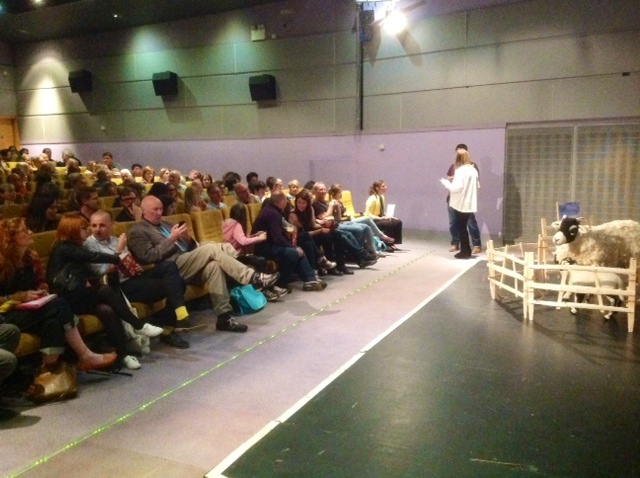 Our two jam packed screenings were a huge success! 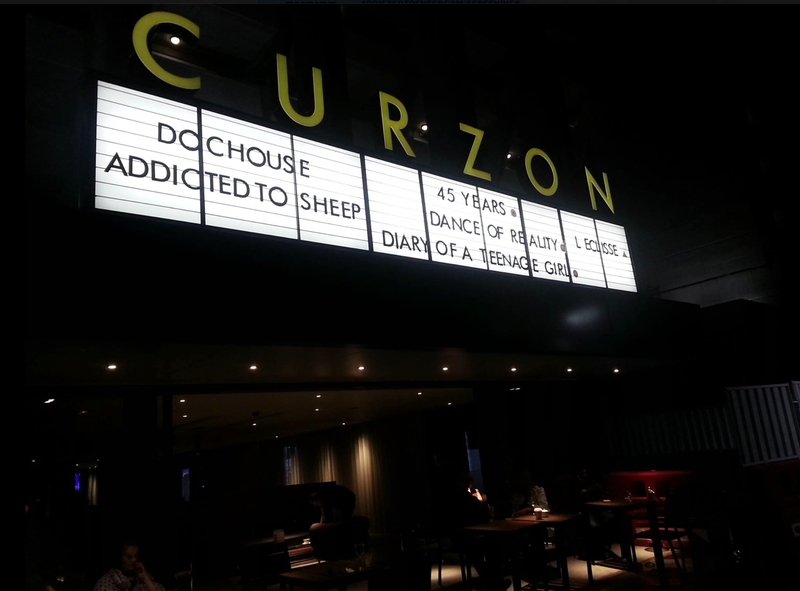 So much so that Addicted to Sheep was selected as one of the official ‘festival hits’ and a third and final screening took place on the last night. Everyone we have spoken to has really loved the film so that’s all we could wish for. We even met with 2 lovely people who flew in specially from Canada for the premiere! 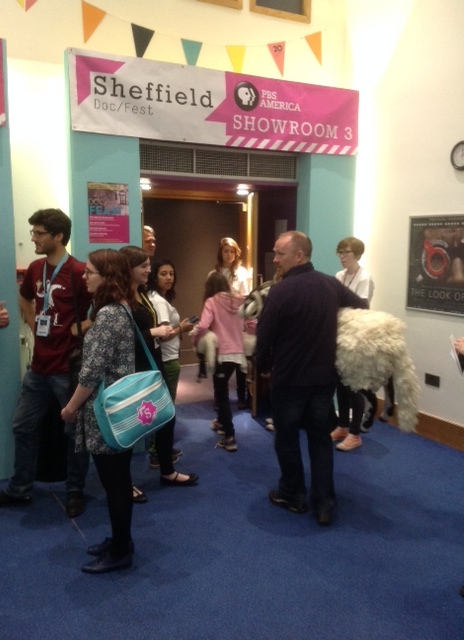 “Addicted to Sheep is the kind of film – simple, humane, authentic, passionate, profound – which just makes me glad Sheffield Doc/Fest exists”. The Guardian Journalist Tom Levitt tweeted: Addicted to Sheep “reminding us that farming should never be just about genetics & margins”. “I just loved it. Beautifully observed, warm, gently funny”. Louise Osmond, Director of Dark Horse, audience winner at Sundance Film Festival. 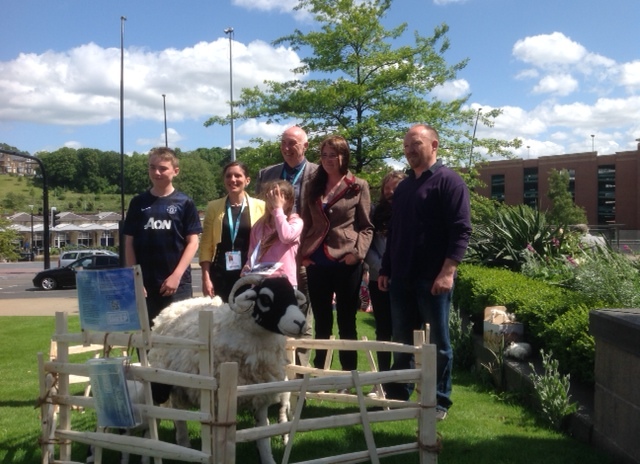 Our 24 hour tour with the sheep has also been a success thanks to Julia Knott who created the sheep from the wool of the Hutchinson flock. Here are a few pictures of our adventure! Sign up for exclusive updates on our Addicted to Sheep website as we’ll be sharing news of our exciting distribution plans very soon! EXCITING NEWS! 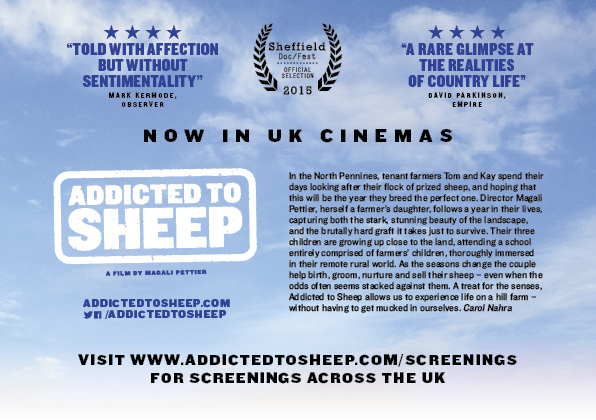 We’re delighted and also a little bit humbled to have been selected to screen Addicted to Sheep at Sheff Doc/Fest, one of the world’s most prestigious film festivals. Having the backing of Sheff Doc/Fest for our Festival World Premiere is a real honour and with over 3,000 industry delegates from around the world and 26,000 public audiences from across the UK it’s also a great launch-pad for the film! Described by Indiewire as the ‘Cannes for documentary people’ Sheffield International Film Festival is one of the top three documentary festivals and markets in the world. It takes place June 5-10 2015 and brings together the documentary family to celebrate the art and business of documentary for six action-packed days. Having our World Premiere at Sheff Doc/Fest is a massive boost to our small team as it will allow more people to see and talk about Addicted to Sheep at the start of what we hope will be a long and successful journey. 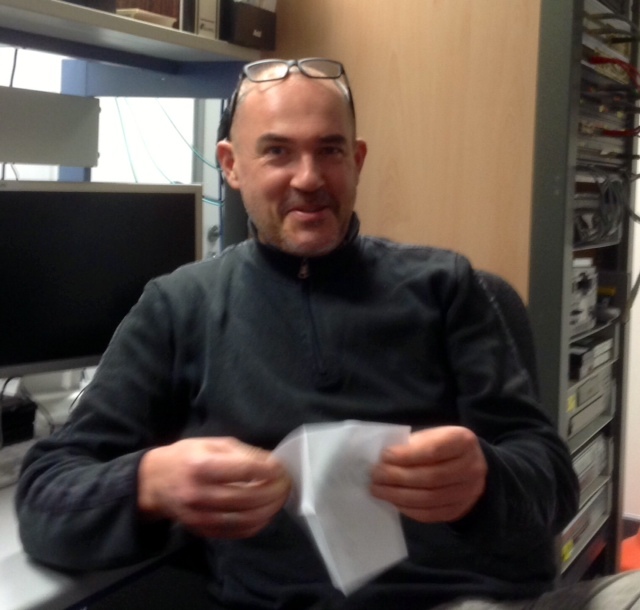 The moment we shared our wonderful news with Matt Dennis, the Editor of Addicted to Sheep! Whilst the Producers Magali Pettier and Jan Cawood celebrated with a nice cup of tea! 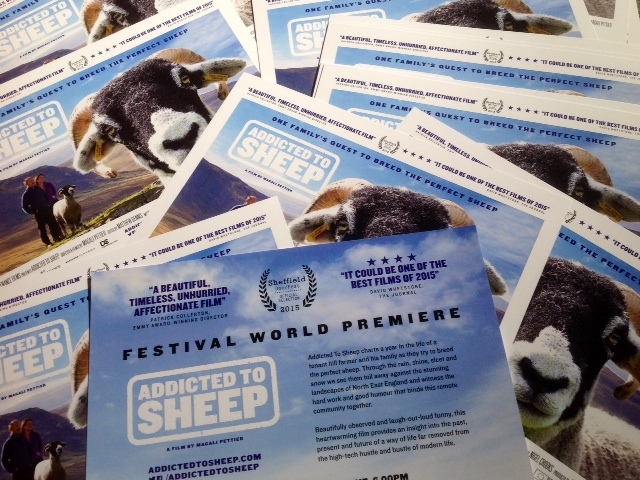 Tickets are now available to purchase for screenings of Addicted to Sheep in June. 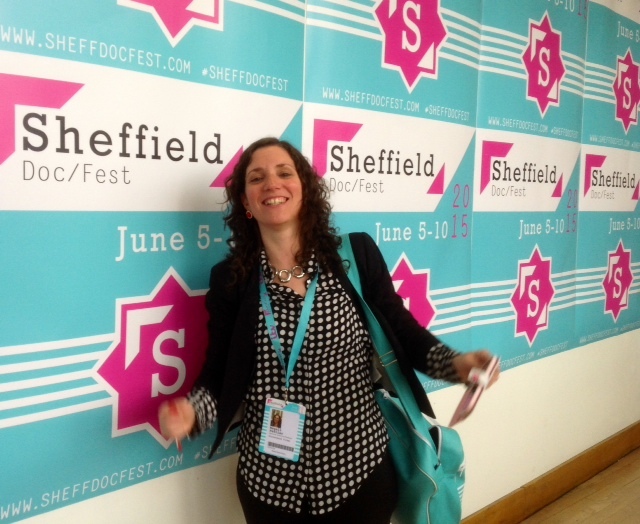 Visit the Sheffield Doc/Fest website to find out more. We’re also offering ONE FREE PAIR OF TICKETS for a lucky winner to join us for the World Premiere screening where you’ll also have the opportunity to meet those in front of and behind the camera. Just email hello@provenancefilms.com quoting ‘Sheffield ticket draw’ by 12 noon Friday 22 May to be in with a chance. Winners will be notified by email and published on social media the following day. Follow our journey We’ll also be sharing behind the scenes news so please visit the Addicted to Sheep website and register for regular updates and to keep up-to-date with media coverage. If you want to blog about the film, please download our free bumper media pack which includes lots of great images too. We’re also posting regular feedback and behind the scenes news on our Addicted to Sheep twitter and facebook page so you can follow us there too. Our first cinema ‘sneak preview’ has taken place! 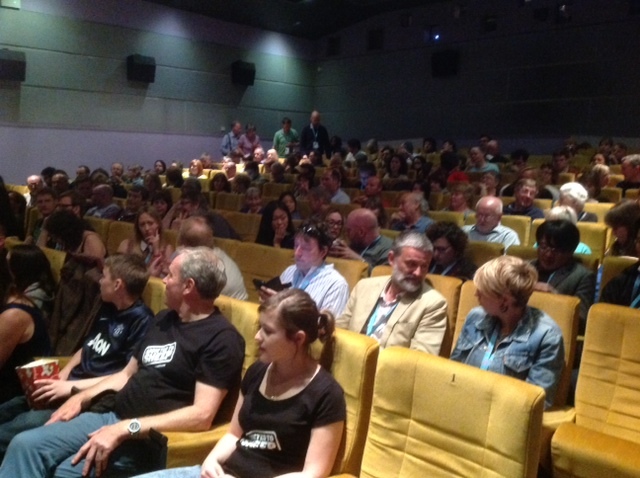 Thanks to our sponsor Latimer Hinks invited guests and supporters packed into the Gala Cinema in Durham. It was an emotional night for everyone who had followed our film-making journey to the cinema screen. None more so than for the film-makers and those on screen! Enjoy some of the scenes from the night. Visit the Addicted to Sheep website to keep up-to-date with media coverage and if you want to blog about the film, download our free bumper media pack which includes lots of great images too. 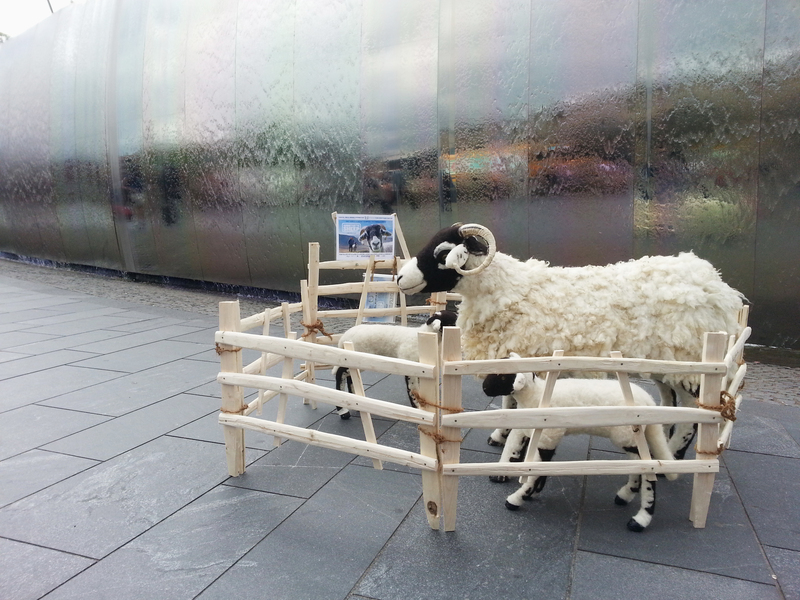 We’re posting regular feedback and news on our Addicted to Sheep twitter and facebook page too. Enjoy this extract from a wonderfully observed 4-Star Film Review by David Whetstone, from The Journal and then follow the link to the full article. 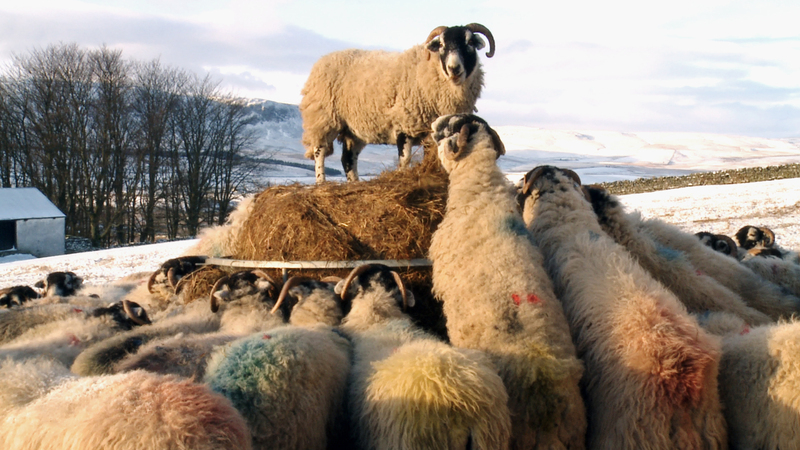 A documentary about tenant sheep farmers in Upper Teesdale could be an unlikely hit at film festivals this summer! 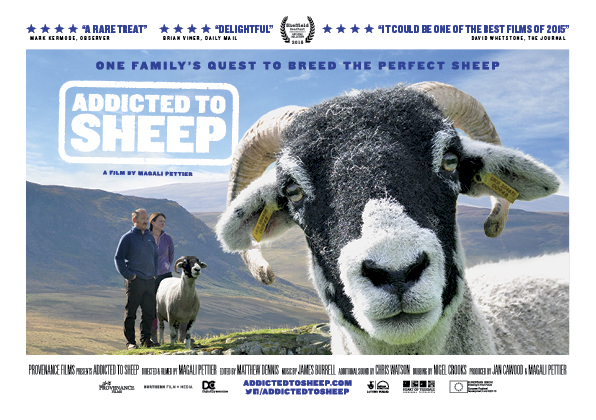 The Oscars will be doled out in Hollywood this weekend, rewarding the best cinema releases of 2014, but it’s a fair bet none of the judges will have seen a film like Addicted to Sheep. 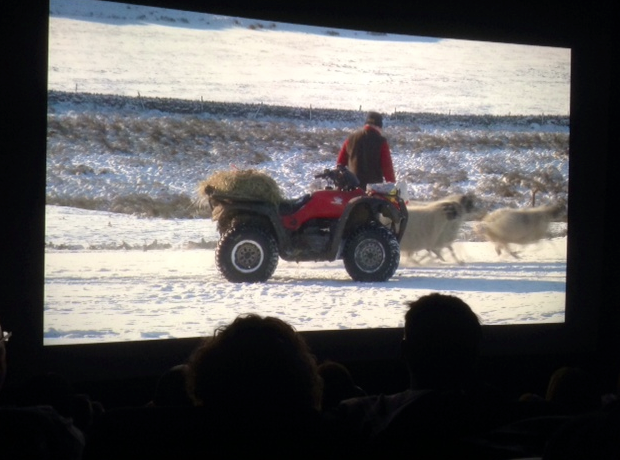 The feature-length documentary charting a year in the life of the Hutchinson family, hill farmers in Upper Teesdale, had its first cinema screening this week at the Gala in Durham with many who appear in the film seeing it for the first time. The film shows the beautiful sights and sounds of this upland landscape through the seasons while taking the viewer uncomfortably close to a lot of muck and slop – things the farmers live with every day. 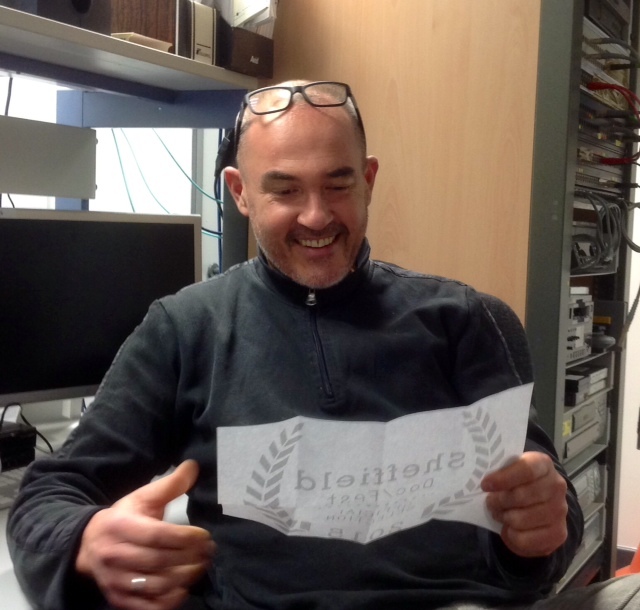 Our first review by Film blogger Sheila Seacroft. We love it!